Today's farmers are benefiting from the use of precision technologies, but want to make sure their data is being kept private. The American Farm Bureau Federation released a survey on Oct. 21 that shows farmers are getting positive results from precision technology. These technologies collect weather information, track seed variety and analyze nutrient applications. The farmers who were surveyed said that using precision technology has reduced the cost of seed, fertilizer and pesticides by 15 percent. Additionally, crop yield has increased by 13 percent when using precision technology. More than half of the individuals who responded to the survey said that they intend to use new or additional precision technology within the next year or two. “Agriculture technology providers must be diligent in protecting farmers’ data and transparent in their contracts about how their data will be used,” said Bob Stallman, AFBF president. 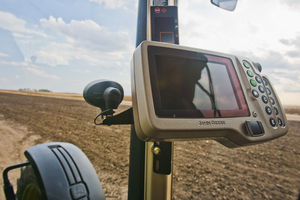 John Deere is one of many companies that provides Ag Management Solutions designed to benefit farmers through the use of technology. The company offers a full range of products designed to help farmers with everything from efficiency to crop yield, and its technology is designed to be user-friendly. However, the AFBF survey revealed that there is still a large amount of skepticism surrounding technology use in agribusiness. Approximately 77.5 percent of farmers who took the survey said that they feared government officials and regulators gaining access to private information without their permission. About 76 percent thought that others could use their information for commodity market speculation. About 82 percent of respondents said that they were unclear on how companies intend to use their data. Additionally, 81 percent said that they believe they retain ownership of their farm data.